Juniper management for small and medium-sized enterprises. 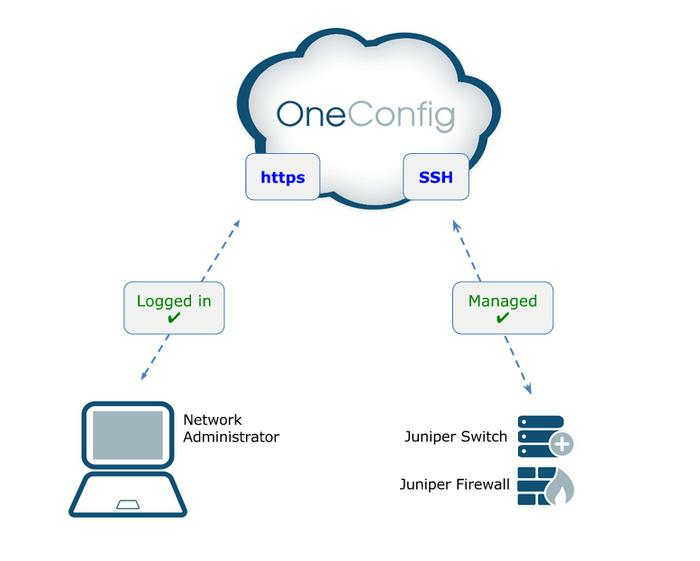 OneConfig is a Sydney startup that is building a cloud-based network management platform for Juniper devices targeting small and medium-sized enterprises (SMEs). Existing network management tools are too complicated and too expensive for businesses with only 10 to 50 Juniper devices in their network, according to OneConfig co-founder, Andrew Hill. OneConfig aims to be easy to use and by virtue of the cloud offers a subscription-based model with no software or hardware costs, he said. Hill and Martyn Lomax came up with OneConfig in late 2011 and registered the business in 2012. They hired a developer, Charl Matthee, to bring the idea to life. “We started off funding this ourselves” and working on the project part time, said Hill. The company has just finished a beta test of the product with positive results, he said. “Initially we’re going to be focusing on resellers, and get them to either use the tool themselves in addition to their current tools for managed services, and also to sign up as resellers for the tool,” Hill said. “Once we have some revenue coming in, we’re going to extend that and go direct by our Web portal,” he said. OneConfig hopes to launch by end of June, he said. Hill said OneConfig has enjoyed networking with other startups in Sydney. “What we’ve found really useful is talking to other people who are doing the same and learning from them,” Hill said. While there is government funding out there, “I understand it’s quite complicated to get that funding,” Hill said. It’s something OneConfig wants to explore further, he said. Hill said OneConfig will likely need to establish a US branch in the future. Hill said that while some Australian startups stay Down Under, “a couple of them find it necessary to pack it up and move” to California, he said. If you’ve got a startup or know about a cool new Australian business, email Adam Bender at adam_bender@idg.com.au or tell him on Twitter (@WatchAdam).